Beth Kennard, MD, a partner with the Ohio Reproductive Medicine medical team since 1999, is a nationally recognized expert in reproductive endocrinology and infertility who speaks to other physicians all over the United States on the latest trends, information, and treatment options for families facing infertility issues. Dr. Kennard received her Medical Degree from Case Western Reserve in Cleveland, Ohio, served her medical residency at MetroHealth Medical Center, and completed her Fellowship with The Ohio State University Hospitals in Columbus. She is board-certified in Obstetrics & Gynecology as well as in Reproductive Endocrinology & Infertility. 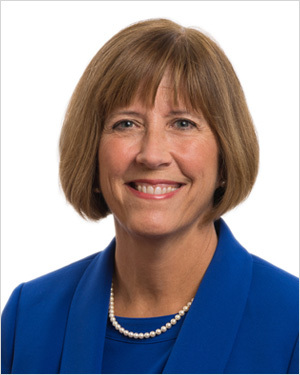 Dr. Kennard also serves not only as an Associate Professor with OSU’s Department of Obstetrics & Gynecology, Division of Reproductive Endocrinology & Infertility, but she also is the director of the Department’s REI Division. She is an ad hoc reviewer of medical information presented in The American Journal of Obstetrics & Gynecology, Fertility & Sterility, and Gynecologic Oncology, and has been tapped for numerous honors and awards, including the APGO Excellence in Teaching Award in 1995. Dr. Kennard is honest, straightforward, kind, efficient, and professional. She guided us through a difficult IVF process to the result of a pregnancy and a healthy baby. A great staff and a great lab next door. Don’t go anywhere else. A member of numerous professional organizations, Dr. Kennard is active with the American College of Obstetrics & Gynecology, the American Society for Reproductive Medicine, and the Columbus Obstetrical & Gynecological Society. Upfront, matter-of-fact and compassionate with all of her patients, Dr. Kennard has developed a solid and well-deserved reputation for presenting all fertility treatment options to patients in a way that offers hope while presenting realistic expectations backed by solid statistics. A married mother of two children, Dr. Kennard also engages in such outside hobbies and interests as marathon running, bicycling, scuba diving, knitting and needlepoint, gardening, cooking, travel, and genealogy.